Korean BBQ rivals, if not beats Thai BBQ anytime. And Singapore is no exception to this. Being a veritable melting pot of cultures and cuisines, the Lion City has its fair share of great restaurants to enjoy the grilled goodness of different meats and seafood, along with the usual hotpot and endless side dishes, of course. 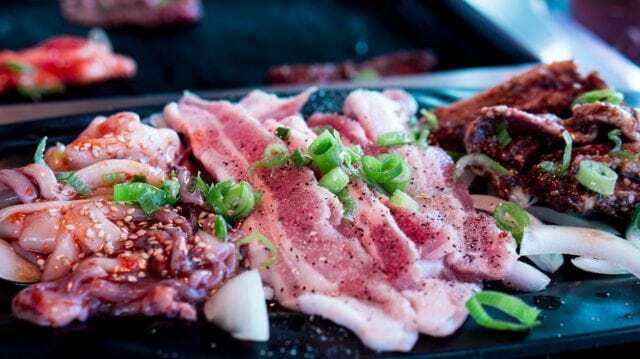 Here is a quick guide to the 15 best places to go to for your Korean BBQ fix in Singapore. Enjoy grilling! Daessiksin is the Korean restaurant under the Ministry of Food brand. 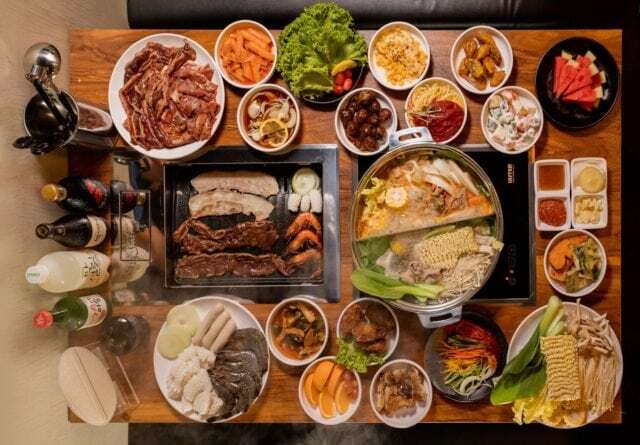 It serves up a Korean buffet, with 5 to 6 cooked dishes and unlimited drinks. 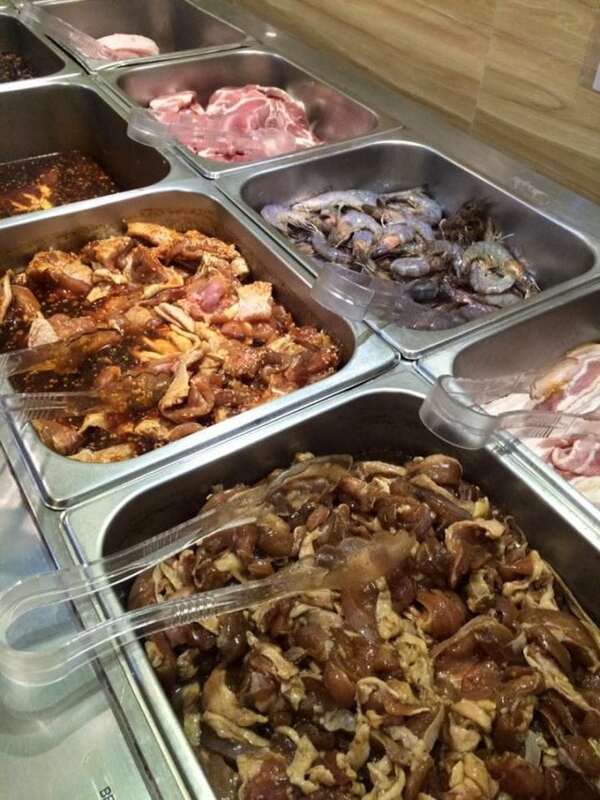 The star of the buffet is the range of meats on offer. With 10 to 12 marinated meats to choose from such as pork, beef short ribs, and pork collar, it will truly satisfy your craving for grilled meats. It has 10 locations all over the Lion City so you can reserve your table at the location nearest you. Don Dae Bak prides itself for offering a charcoal barbecue experience rather than the usual gas barbecue grills in most restaurants. This restaurant only has one location, so it gets easily full during the buffet hours. You get to man your own grill around a circular table, good for families or a small group of friends. 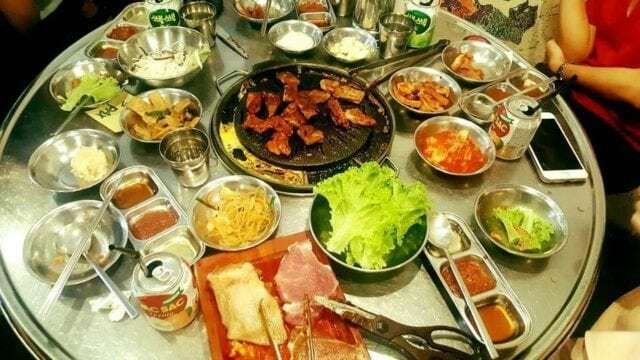 Everything from the side dishes, the drinks and of course, the assortment of meats are all free flow. I’m Kim Junior at SCAPE was opened by the same entrepreneur behind I’m Kim and Goro Goro – Elim Chew. What sets this restaurant apart from the other buffet restaurants is its Be Your Own Chef scheme. 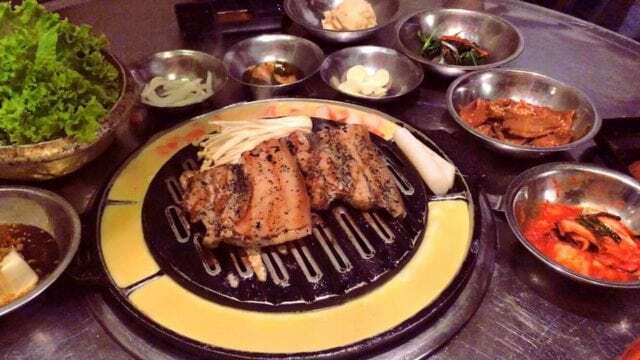 This allows customers to customize their own galbi to their liking. Apart from the usual array of marinated meats, you can choose from different ingredients for that perfect flavor. Each table at I’m Kim Junior is also equipped with an exhaust pipe so that you don’t come out of your meal smelling like cooked food. K.COOK Korean BBQ is a favourite buffet place known for its value. Although its meat selection may not feature special cuts, it is enough to satisfy your BBQ craving. 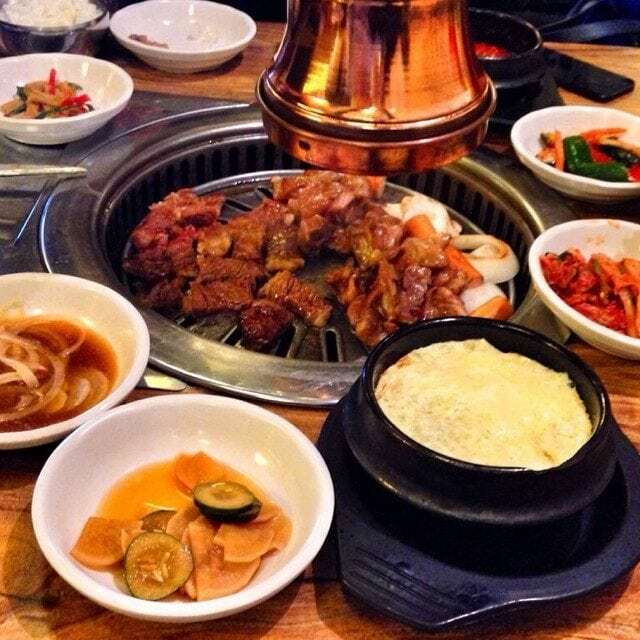 The buffet selection also includes your favourite Korean side dishes that pair well with grilled meat. Its location which is at the Orchard Gateway area is also a big plus. The best seats in the house are in its outdoor seating area. If you’re looking to have Korean BBQ in a fine dining setting, Hyang To Gol Restaurant in Amara Hotel is the perfect place. Not only is there Korean BBQ, but there are also other delicacies and staples in Korean cuisine available. Despite the luxurious setting, prices are still affordable for the food they have to offer. Great for special occasions. Super Star K is a no-fuss Korean BBQ restaurant located on Tanjong Pagar Road. It has an ala-carte menu only, so the queues are usually not as long as those that offer buffets. Each table has its own grill in the middle and an exhaust pipe. 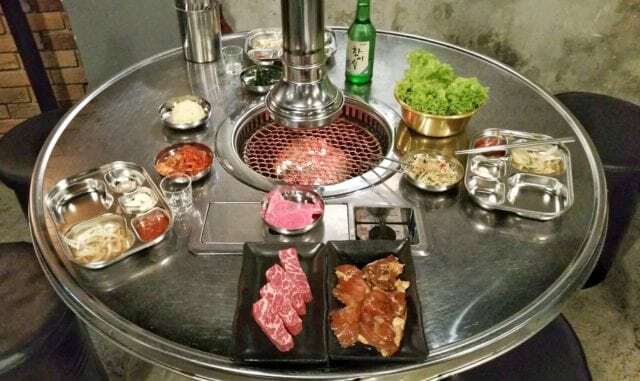 Here you can enjoy your BBQ that includes black pepper pork neck, seasoned chicken and bulgogi, after the cook staff has cooked it to perfection. So if you are not in the mood to be your own cook, this is the place for you. 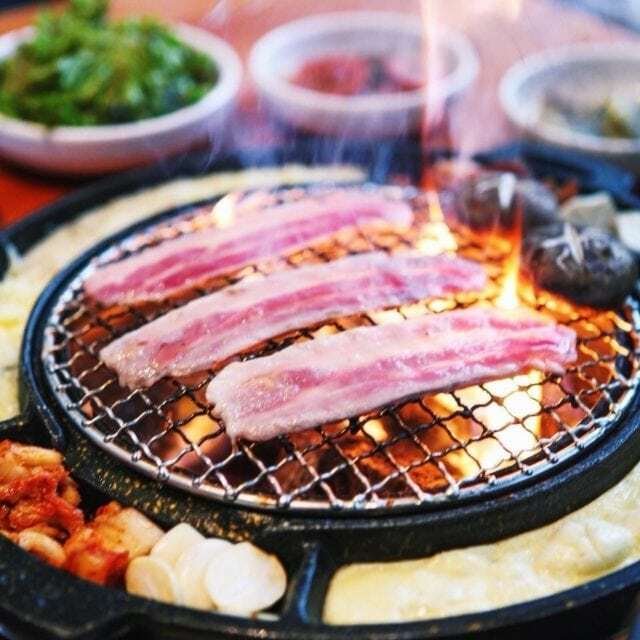 Wang Dae Bak sticks to tradition with its charcoal fire grills. Perhaps this is the reason why it is considered one of the best Korean BBQ restaurants in Singapore. Its ala-carte menu has quite a few gems, after the marinated meats of course. Among the must-try dishes are the Kimchi pancake and the Kimchi Jjigae, an anchovy base stew with pork and tofu. 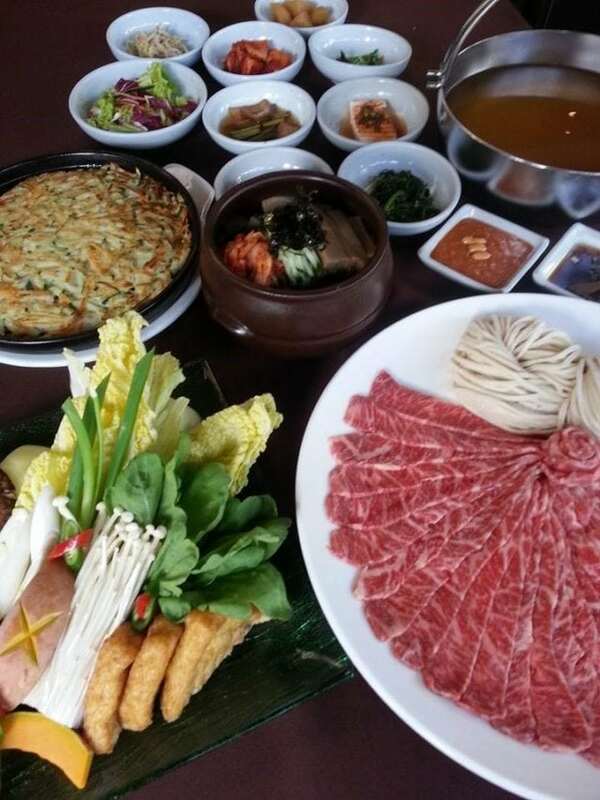 Locations: 22 Cross St., 98 Amoy St.
For a traditional Korean experience with a modern twist, try Nanta Korean BBQ. Its a relatively new restaurant, opened by the same group behind K.Cook. Menu items on offer have a clear modern twist but does not lose traditional elements. 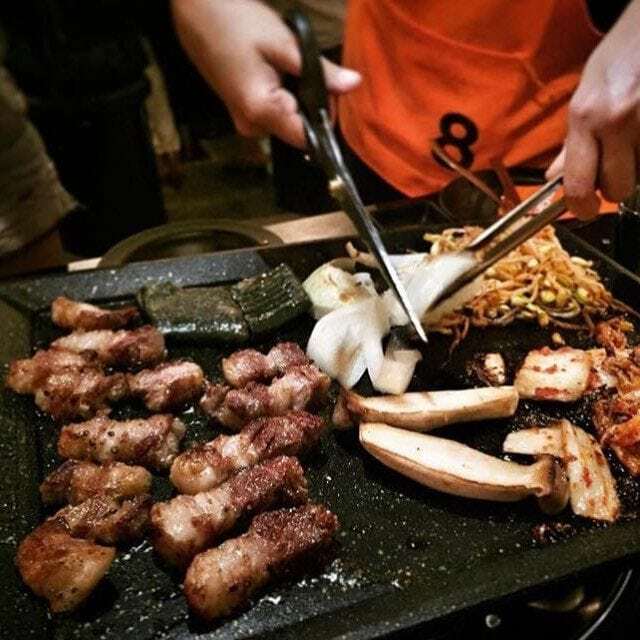 One must-try dish is the Cheese Deng-galbi – spicy pork ribs with lots of mozzarella cheese on a hot plate. This restaurant is a popular choice among young Singaporeans and expatriates. It shares the same building with one outlet of Ssikkek but it offers an ala-carte menu instead of a buffet. However, like its sister restaurant, its value for money is the reason behind its popularity. 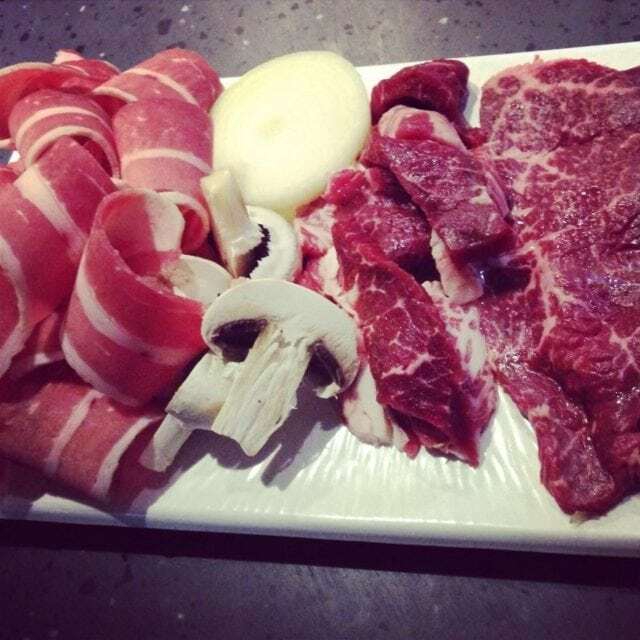 Chang Korean BBQ on Loewen Road is the place to go if you want a high-end dining experience. The premium prices mean that premium cuts are readily available such as wagyu ribeye and kurobuta belly. The staff also make sure that your BBQ is done right – that is service at its best. Weekends can be packed so it is best to reserve a seat for your group. Authentic Korean dishes is what Kim’s Family Food Korean Restaurant is all about. The restaurant has an extensive menu that you can choose from. If you don’t want to go through all the trouble of picking the right dishes, choose any of their meat platters which you can grill to your satisfaction. 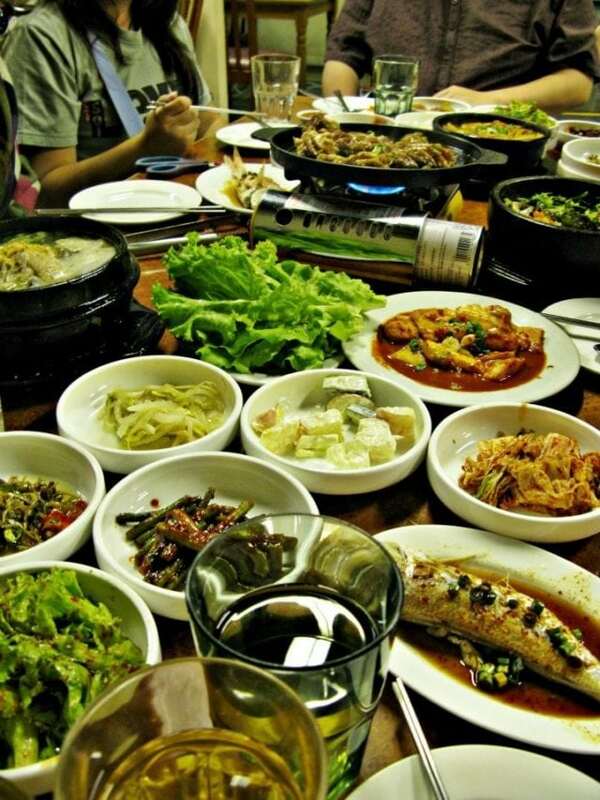 Not to be missed is the Korean rice wine and the wide array of Korean side dishes of course. Eight Korean BBQ is known for its 8 Colours Set at $98, which is kurobuta pork bellies flavored with 8 different marinades like garlic, wine, curry and miso among others. Cook staff serve up this set with free appetizers which is good for four hungry diners. Miss Korea on Killiney Road is the 2nd restaurant by Supulae, a popular Korean restaurant on Korean food street of Tanjong Pagar. If you are looking for a quieter and calmer buffet dining atmosphere compared to that on Tanjong Pagar, this place is a good choice. It offers a buffet at very affordable prices as well as special offers for beers such as Hite. Gaia Korean Grill + Bar was inspired by a cooking teacher and cookbook author who decided to open her own restaurant that would serve healthy, home-style Korean food. This was after Chef Chun Nam Won was diagnosed with cancer. At Gaia, she serves healthy yet well-flavored marinated meats, such as their Combination Platter at $28. Seorae boasts of serving a special cut of pork, the Galmaegisal which traditionally was only served to the Royal Family in Korea. This pork skirt that is marinated in Korean spices is the star of the show here. However, the side dishes or ban-chan are more than enough to keep your taste buds going while waiting for your grilled pork. Fried kimchi, steamed egg and cheese also surround the grill so that you can make your pork tastier. Yakult Soju and Coffee Soju are also on offer as well as the popular Korean dessert, bingsu. Ready for a feast? 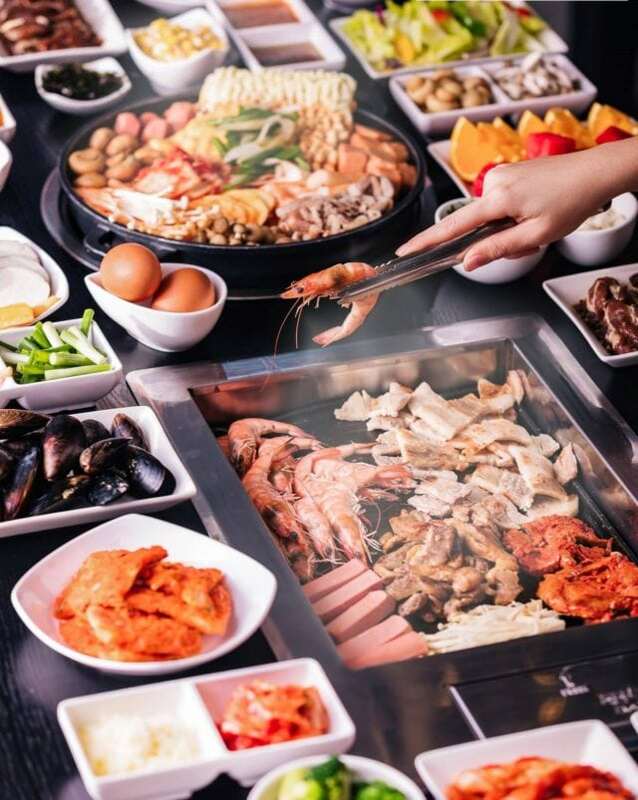 If you are a Korean food lover or just an adventurous foodie, you have more than enough choices of Korean BBQ and buffet restaurants in Singapore. Head on down to any of these places and bring your family or friends for a more than an enjoyable meal. 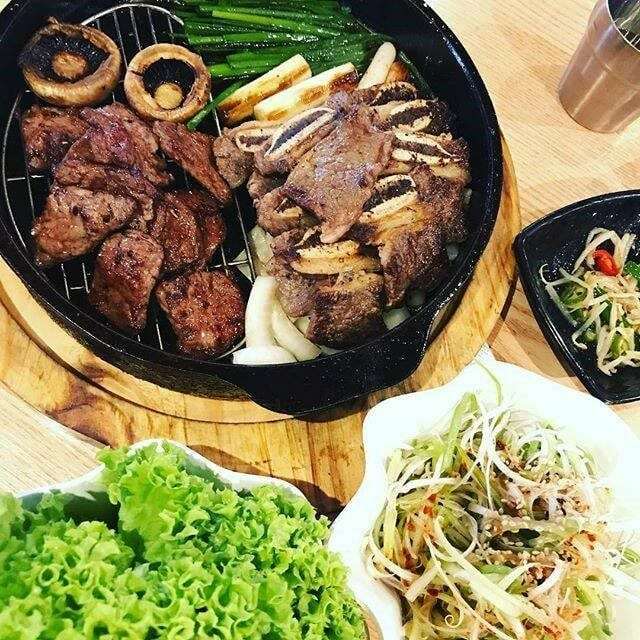 What is your favourite Korean BBQ in Singapore? Let us know in the comments and we will include it in the article! 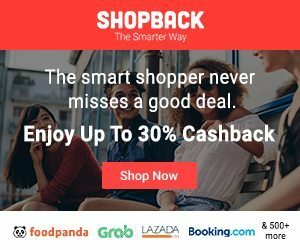 Fave and Eatigo are two great sites available on ShopBack where you can earn Cashback and earn discounts on top of that! *Originally published in May 2018. Updated on 22 March 2019. Featured Image credit: Unsplash.